SJD100 Horizontal Automatic Cartoning Machine, This equipment is new model developping base on integrated domestic and foreign vanguard technology. 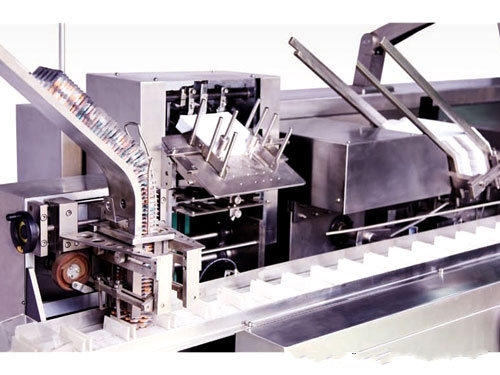 It is high technology product incorporates pneumatic-photo-electro-mechanic which improve by a large on performance of equipment and working efficiency, realize encasing fast, keep running steady and reliable when fast running.This machine is suitable for blister package product, adjust automatic feeding structure conveniently, setup quantity of blisters on touch screen randomly. 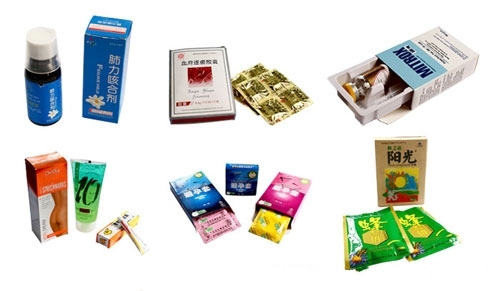 On line product feeding and detecting, leaflet fold (1-4 folds) and feeding, leaflet detecting, canton opening and forming, products and leaflet pushing into carton, printing batch number, sealing carton with tuck-in or hot melt glue device. Automatically reject lacking of leaflet or prodcut and finished product out. International famous brand of electrical component such as PLC touch screen, frequency inverters, etc. Adopt human-machine operation system. Automatically stop when machine is overload. Automatically reject lacking of package product and leaflet. Automatically display trouble, Alarm and count finished products. Stable performance, operation is easy. Looking for ideal SJD100 Horizontal Automatic Cartoning Machine Manufacturer & supplier ? We have a wide selection at great prices to help you get creative. All the Horizontal Automatic Cartoning Machine are quality guaranteed. 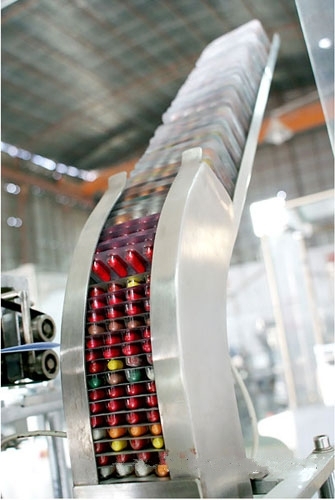 We are China Origin Factory of High Speed Automatic Horizontal Pharma Blister Cartoning Machine. If you have any question, please feel free to contact us.